We are thrilled to welcome you to the 5th Annual Kinley Klassic and Kami Too, in honor of our daughters, Kinley and Kami Greenhaw. The Kinley Klassic is a 4-person golf scramble that also includes lunch and a silent auction. The goal of the Kinley Klassic is to bring the community together to have a great time and raise awareness for two organizations that greatly impact our family. 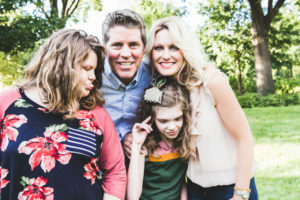 While Kinley lives with Cardio-Facio-Cutaneous Syndrome, “CFC Syndrome,” her younger sister, Kami, also faces challenges due a TRIP12 mutation, newly recognized as “MRD49”. Our family faces both daily challenges and joys unique to living differently; however, due to CFC International’s and Oklahoma Family Network’s support and navigational tools, we are able to optimize resources within our community to provide our family strength, independence and a GOOD LIFE! After Kinley was born with numerous challenges, we sought out wisdom and resources in our Oklahoma community, and found what we were looking for in Oklahoma Family Network, “OFN”. 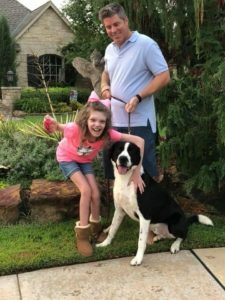 Once Kinley received a diagnosis, Cardio-Facio-Cutaneous Syndrome, we found additional resources and support with our CFC family, CFC International. When our younger daughter, Kamden, was diagnosed with an Autism Spectrum Disorder and Learning Disabilities, both organizations had already helped us connect the pieces needed to help our family. As needs change and the girls grow, OFN and CFC International continue to guide us! All proceeds from the 2019 Kinley Klassic will benefit CFC International. It is our goal to continue the Kinley Klassic and Kami Too each year to support both of these incredible organizations. Each of them is designated as 501c3 non-profit, and your participation and giving greatly change the trajectory of families like ours, giving us hope, encouragement and possibilities for our children. We look forward to seeing you on Monday, May 20th! Thank you to Jeff Wood Music for sharing his musical talent with us! Special Thanks to Sunny Thomas of Daybreak Pictures, for providing his amazing photography for the event.